Patrick J. Hanlon was admitted to the bar in the State of Illinois in 1994 and the bar in the State of Missouri in 1995. He received his law degree from Washington University School of Law in St. Louis, Missouri in 1994. He earned a bachelor’s degree in political science from Quincy University in Quincy, Illinois. Upon graduation, Mr. Hanlon worked for one year with the firm of Kujawski and Faerber of Belleville, Illinois and specialized in Plaintiff’s personal injury and railroad litigation. Mr. Hanlon also served as an assistant to the General Counsel for the Illinois Department of Agriculture and drafted opinions on behalf of the Director of the Department of Agriculture while serving in this capacity. 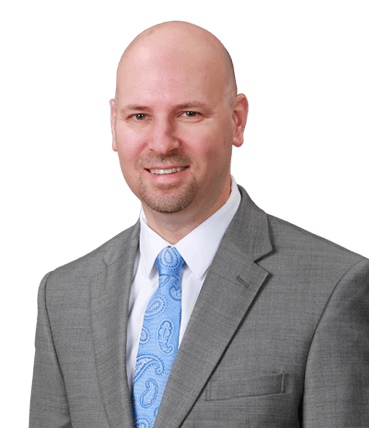 Mr. Hanlon became an associate for the firm of Frederick and Hagle in July of 1995 and since that time has represented hundreds of victims in workers’ compensation and personal injury cases. 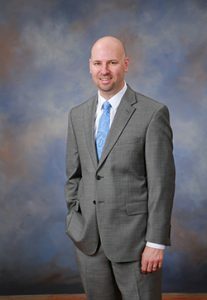 Mr. Hanlon limits his practice to Plaintiff’s personal injury, workers’ compensation and probate matters. He has tried cases in several courts throughout the State of Illinois including the Circuit Courts of Champaign, Coles, Vermilion, Macon, Sangamon, Ford, Moultrie and Effingham Counties. He has also argued appeals in the Fourth District Appellate Court of Illinois and the Illinois Workers’ Compensation Commission. In 2002, Mr. Hanlon became a partner with the firm of Frederick and Hagle. $210,000.00 – automobile accident victim. Mr. Hanlon is a member of the Illinois State Bar Association, Illinois Trial Lawyers Association and Champaign County Bar Association. Mr. Hanlon has served on the Board of Directors for Habitat for Humanity from 2004 through 2009 and served as President of the Board of Directors for Habitat for Humanity of Champaign County during 2008. Mr. Hanlon is licensed to practice in Illinois and the Federal Court for the Central District of Illinois.